Let me back up a bit and explain to you how car leasing works. There are a few terms you’ll want to understand. Cost: This is simple, it’s the cost of the vehicle. Cost is a negotiable figure. Residual Value: This is the anticipated value at the end of the lease. It’s not meaningfully negotiable except that perhaps one could add or subtract some of the annual mileage. Pay attention to this. Capitalized Cost: More commonly called Cap Cost. Cap Cost is the dollar amount one comes up with when you subtract the residual value from the cost of the vehicle. Sometimes people who want a lower payment will include a cap reduction, which is a payment applied to the capitalized cost. It’s also a way that auto manufacturers can offer $199/mo lease deals, the drive off payment might include thousands toward that capitalized cost. Money Factor: Interest. Money Factor is your interest rate just with a fancy (made to confuse you) name. Here’s an example of how a car lease might have been created. The total cost of a vehicle is $10,000 (easier for math – not a real number). The car is to be driven up to 36,000 miles in the next three years. At the end of that time, it will be worth 60% of the purchase price (57% is about standard for a BMW 5 series according to one fleet manager, but we’re keeping the math simple). The capitalized cost of the vehicle is $4,000. This means that to drive the vehicle off the lot, you’ll be paying your first month’s payment 1/36 of $4,000 plus tax and interest, and your registration, fees and any sort of cap reduction. The monthly payment would likely be about $140 in this scenario. $111 per month for the capitalized cost, another $20-30 for fees (interest) and then tax it all. Driving the car off the lot would be that first month’s payment ($140’ish) plus registration and fees. That was boring, how does someone produce a $60,000 McLaren? Now that I’ve bored you with a moderately accurate lesson on auto leasing let’s discuss the $60,000 McLaren. Apparently, when producing or directing some of these filmmakers are given car leases from their production companies. Said filmmakers run to a McLaren dealership and negotiate a lease with an eye-popping 25% residual. The production company will pay 75% of the cost of the car over the course of three years. 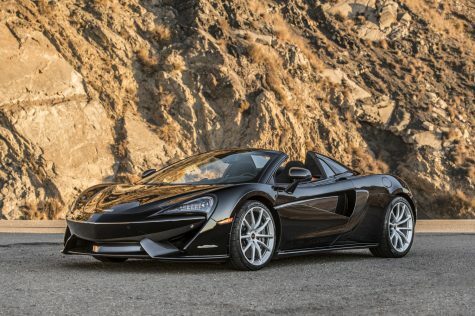 In 2019 a McLaren 570 Spider runs about $225,000 (my first house was $165,000, and the mortgage payment kept me up at night). Today our filmmakers drive a leased vehicle that runs their production company between five and six thousand dollars a month. For the sake of comparison, a McLaren lease offer can be found in Newport Beach for as little as $2,200 a month. When it’s time to turn the car in at lease end our filmmakers end up having flexible schedules and do the deed themselves. But they don’t return the vehicle. They buy it outright. They may buy it before the end of the lease too. The last few months are no big deal, right? What’s another $10k? Today someone who negotiated a crazy lease back in 2016 is buying a McLaren outright for as little as $60,000. And I’d like to be their friend. Oh this was worth the wait.